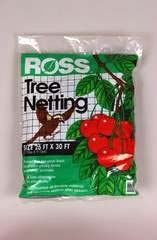 This 26 ft. X 30 ft. Garden Netting serves as great protection for your fruits and vegetables from pesky birds and other animals. It is safe and humane, so it won&#39;t harm birds or animals. It is constructed of durable material so it is reusable season to season.